OPERATION CAST LEAD: The 1,400 Palestinian dead, most of them civilians, not to mention the staggering devastation revealed when Israel ﬁnally had to allow journalists into the Strip after it ended the assault, had a powerful impact on international and Arab opinion. Unfortunately, the shock of the assault was not sufﬁcient to overcome the venomous split between the Fatah-backed Palestinian Authority in the West Bank and the Hamas government that took over the Strip by force in July 2007. 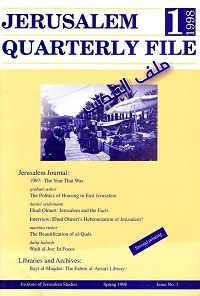 The Institute for Palestine Studies (IPS) is an independent, private nonprofit research institution, highly regarded throughout the Arab world as a model of institutional organization and independence. It is the oldest institute in the world devoted exclusively to documentation, research, analysis, and publication on Palestinian affairs and the Arab-Israeli conflict. 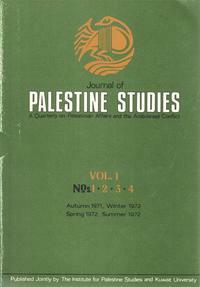 Due to the recent raids, arrests, and bombings occurring in both the West Bank and Gaza by Israeli forces in response to the kidnapping of three teenage Israeli settlers, the Institute is offering four articles from our Journal of Palestine Studies pertaining to collective punishment & Israeli policy. The IPS launched this project in 2006 to track every legislative initiative introduced in the U.S. Congress that mentions Palestine or Israel or has bearing on the Palestinian-Israeli conflict. In Volume 42, Issue 1 of the Journal of Palestine Studies, the feature article by Edward S. Herman & David Peterson entitled “The Iranian ”Threat” in a Kafkaesque World” tackles the double-standards of the U.S.-led Western hegemony against the Islamic Republic of Iran.